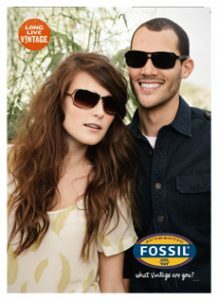 Our fashion blog knows that Fossil glasses offer what men and women need to look smart and stylish any day of the week. 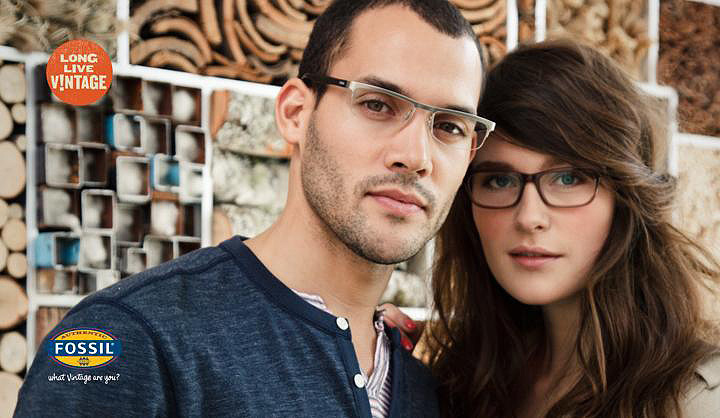 Fossil eyewear is known for being highly practical and extremely stylish. This is a great brand to explore if you’re looking for frames that are just as appropriate for a day at the office as they are for an evening on the runway. It should come as no surprise that Fossil glasses consistently rank at the top of the list of must-have frames each season. In fact, the brand’s eyewear collection seems to grow in desirability each year. The likely reason for this phenomenon is that Fossil has outlived many brands that simply can’t deliver with it comes to quality, craftsmanship and comfort. Of course, the Fossil brand is never lacking when it comes to releasing some of the most stunning eyewear looks on the market. Fossil is an American brand that has managed to capture the simple, no-nonsense style that Americans love for decades. It was founded in 1984 by brothers named Tom and Kosta Kartsotis. The brothers initially focused on creating fashion watches with a retro look. This approach helped them to sell many watches and gain attention from the fashion world. It wasn’t until 1990 that the brothers finally introduced the signature line of leather watches that would truly put the Fossil brand on the map. However, it was the release of the Fossil eyewear collection a few years later that truly solidified the brand’s reputation for offering premium products. Some brands simply have staying power. Fossil is definitely one of those brands. There really isn’t a secret formula behind the fact that people continuously choose Fossil glasses when it’s time to look for prescription glasses. The brand designs cool glasses that are carefully constructed to be compatible with prescription lenses. This is a fact that makes Fossil frames quite practical and versatile for people looking for designer glasses that do so much more than simply make a fashion statement. There is also something about the way Fossil designs and creates frames that work with so many different faces that causes the brand’s fans to be so loyal. Fossil can always be counted on to release frames that highlight and flatter faces that are round, square, oval or rectangular. Anyone who has ever shopped for designer glasses knows how frustrating it can be to fall in love with designs that simply aren’t flattering. Fossil’s designers really go the extra mile to design frames that truly work for every type of face. The great thing about Fossil frames is that they are so appealing to people of all ages. There truly are no age restrictions when it comes to who can look amazing while wearing Fossil eyewear. This is quite a different story from many of the popular designer brands available on the market today. The reality is that many trendy eyewear styles are simply too outrageous or impractical for people to wear to work, school or other basic places. Fossil designs are amazing because they allow you to bring a twist of edgy style to your look without compromising your professionalism. Teens and young adults love Fossil frames because they are so fresh and stylish. 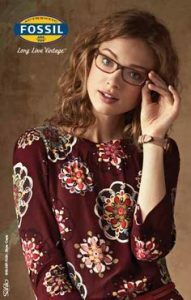 Older adults value the sophistication and simplicity Fossil frames offer for those looking for attractive prescription glasses. Fossil offers designs that were made to be worn by people with good taste. It should come as no surprise that the brand has found many fans among the Hollywood crowd. Stars love Fossil frames because they provide the perfect way to pull off a simple, fresh look. Halle Berry has been seen wearing dark shades by Fossil many times. Jennifer Garner and Tina Fey also look great whenever they’re photographed wearing stylish Fossil frames. The great thing about prescription glasses by Fossil is that they offer everything the biggest celebrities need when they want to look casual and intelligent while running errands in real life or speaking with the press at Hollywood events. Fossil is one of those brands that really speaks for itself in terms of first impressions. When people show up in Fossil frames, others take notice. There is just something about the polished finish and pristine lines Fossil is known for that will inspire you to exude a little more confidence whenever you put your frames on. The one way to sum up the entire Fossil eyewear collection is to call it clean. There is a very specific clean look that has been carefully woven into the details of every frame in the collection. 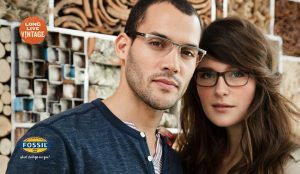 Those looking for attractive square designer glasses will be pleased to discover that Fossil offers many styles that feature square and rectangular frames. You’ll also discover a robust assortment of both understated frames and statement-making frames. There are also several styles that feature rounded and oval frames. Fossil has perfected the art of creating cool glasses by mixing classic looks with contemporary colors and patterns. Several of the designs in the current collection are offered in smart and delicate color combinations. Share with us and our thousands of readers in the comment sections below of your favorite Fossil glasses and tell us the story of how you found them and what inspired you! This entry was posted in Fossil Glasses and tagged cool glasses, designer glasses, fashion blog, Fossil Glasses, Glasses, glasses styles, prescription glasses, Prescription Glasses Online, spectacles. Bookmark the permalink.